CAIRO - Egyptian antiquities officials scoffed recently at claims by Republican presidential candidate Ben Carson that Egypt’s ancient pyramids were not built as pharaonic tombs instead used to store grain. “Does he even deserve a response? He doesn’t,” Antiquities Minister Mamdouh Eldamaty said Monday on the sidelines of a news conference about recent thermal scans of the pyramids that revealed some anomalies that could lead to new discoveries about their construction. 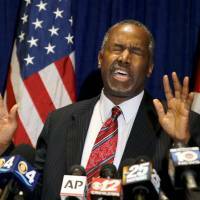 Carson’s comments have received little attention in Egypt, where people are accustomed to accepted expert views about the 4,500-year-old structures, but have drawn interest in the United States, where the retired neurosurgeon has jumped to the top of the crowded Republican presidential field. Last week, Carson stood by his belief that Egypt’s great pyramids were built by the Biblical figure Joseph to store grain, an assertion dismissed by experts who say the giant structures are accepted by science as tombs for pharaohs. Mahmoud Afifi, the head of the Ancient Egyptian Antiquities Sector at the Antiquities Ministry said Carson’s comments are similar to other inaccurate theories about the pyramids, including one according to which they were built by people from the mythical lost continent of Atlantis. Video posted online Wednesday by Buzzfeed News shows Carson explaining his theory 17 years ago at a Michigan college affiliated with his Seventh-day Adventist Church. In the video, Carson says: “My own personal theory is that Joseph built the pyramids in order to store grain.” He was referring to the Old Testament story of Joseph predicting famine and advising the pharaoh to store surplus food. Carson said his view is more likely than the accepted archaeological conclusion that the massive structures were built as tombs for pharaohs. 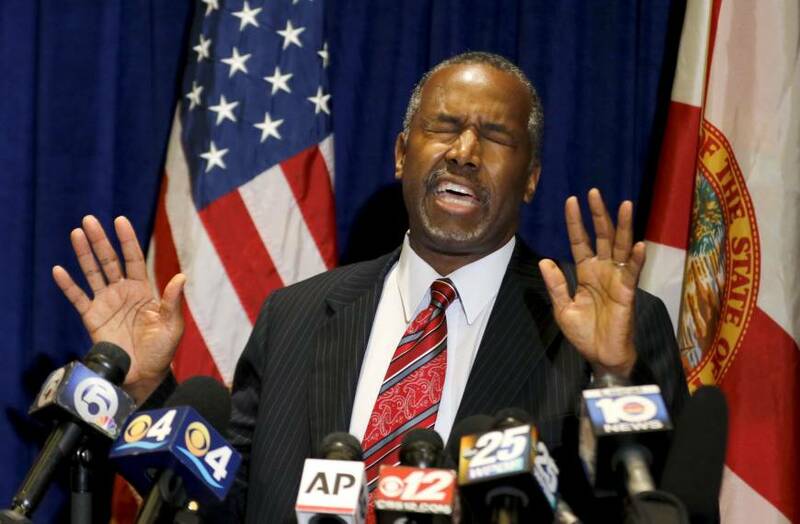 At a book signing Thursday in Florida, Carson stood by his statement. “Some people believe in the Bible like I do and don’t find that to be silly at all, and believe that God created the Earth and don’t find that to be silly at all,” Carson said.